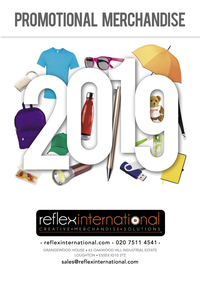 Reflex International is one of the country's top suppliers of promotional clothing, corporate gifts and promotional products. Our clients range from some of the biggest companies in the world to many small niche players. In 2013 we opened a new office in Ningbo , China. We recognised the need to maintain our stringent quality control that our customers have come to rely upon while delivering competitive, high quality items sourced direct from the factory floor. 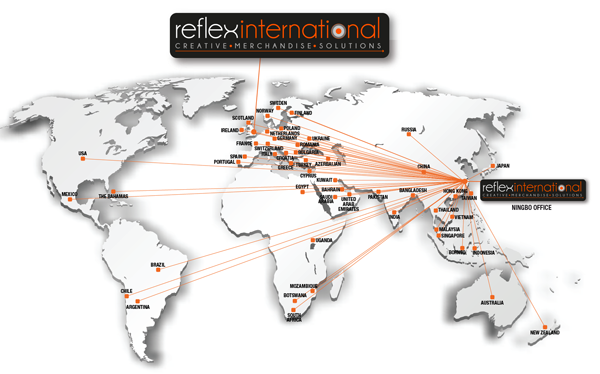 To date we have successfully exported to over 30 countries. Our office in China is compliant to Social and Environmental standards.